The Catholic bishops of Pennsylvania offer the following guide as an aid in preparing for the sacrament of penance. (See their complete statement on the sacrament here.) 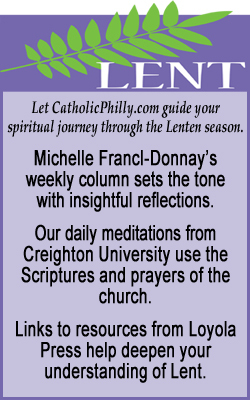 Find a parish church in the Philadelphia Archdiocese that offers special times for confessions, in many cases on Wednesday evenings, here. The priest welcomes the penitent warmly and greets him or her with kindness. Then the penitent makes the Sign of the Cross, which the priest may also make. The priest invites the penitent to have trust in God using one of the formulas in the ritual or similar words. If the penitent is unknown to the priest, it is proper for the penitent to indicate his or her state in life (married, single, or clergy), the time of his or her last confession and anything else that may help the confessor in exercising his ministry. The penitent confesses his or her sins and accepts the prayers or deeds that the priest proposes as a penance. The priest continues: “Give thanks to the Lord, for he is good.” The penitent responds: “His mercy endures for ever.” The priest then dismisses the penitent, using one of the formulas found in the ritual. 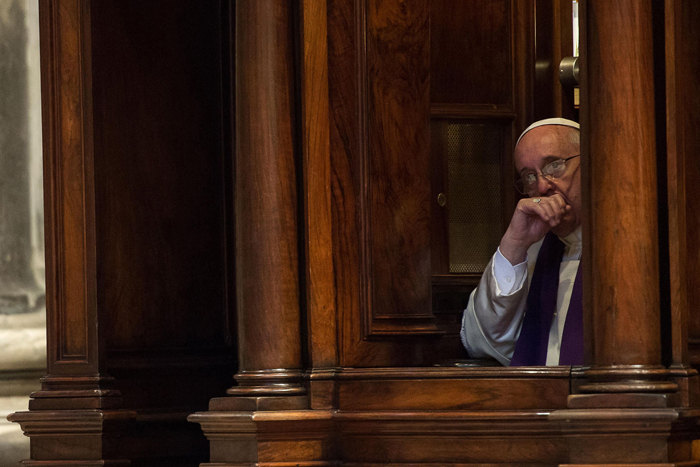 As you prepare to make a good confession, you want to ask God’s forgiveness for any way in which you have offended him but particularly for any serious sin. If you are not certain what you should bring to the priest in confession, do not be afraid to ask him for help. The priest is there to assist you and to share with you God’s love and mercy. Many people find the Ten Commandments to be a good frame of reference for an examination of conscience. Brush up on them here. O my God, I am heartily sorry for having offended you, and I detest all my sins because I dread the loss of heaven and the pains of hell; but most of all because they offend you, my God, who are all good and deserving of all my love. I firmly resolve with the help of your grace, to confess my sins, to do penance and to amend my life. Amen. I need to go to Confession. It’s been too long.